Batch Picture Protector protects your digital images and artwork by adding professional transparent watermarks that combine text, illustrations and graphics. Even if your artworks and digital images were copyrighted, there is still a tendency for it to be stolen or edited and produced maliciously in the internet. We don't want that to happen on our stuffs, right? So we need to safeguard our treasured possession in order to spare it from illicit use. Now we don't need to look very far for the ultimate tool to protect our copyright. Batch Picture Protector is just within the reach of our very hand. 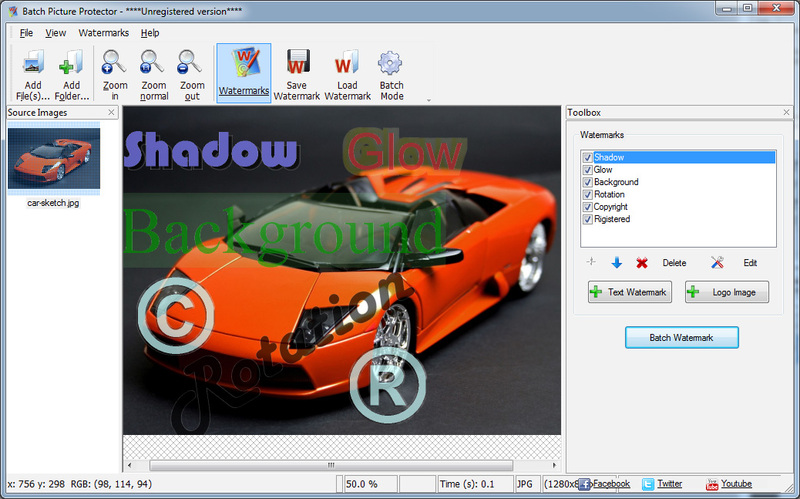 Image watermarking software protects your digital images and artwork by adding professional transparent watermarks that combine text, illustrations and graphics. Batch Picture Protector has amazing features to put off all our worries about piracy away. It has best techniques on how to add a watermark to digital photos to enhance a faster and easier way to give the images best protection. Along with this program's versatility you can also add draft watermark logo in an easy way. This program is a very useful and effective tool not only for graphics artists and designers but also to logo and banner makers who are making online businesses. Through this way they can share and send their product's proof of authenticity for buyers' assessment. And even if you are not doing business, you can personally publish images on the internet and make sure of its privacy by using the Batch Picture Protector. Batch Picture Protector provides a user-friendly feature and is compatible with all image formats so can with all comfort add watermark to jpg. You can actually have all the power to protect your files from unauthorized use with Batch Picture Protector. 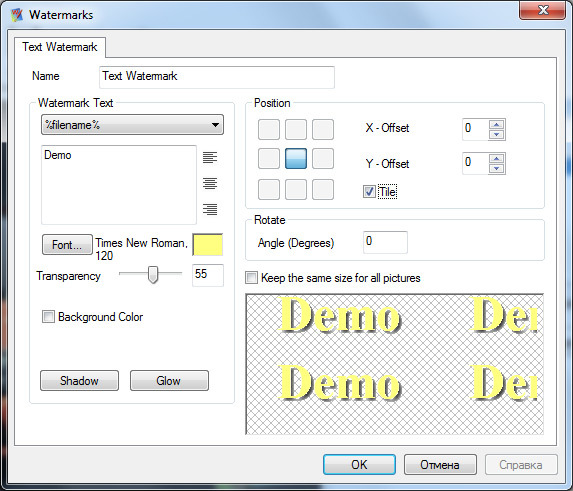 You can manage multiple watermarks for varied purposes with its built-in watermark file manager. And while you can customize multiple watermarks of varied complexity, you can also save them into the watermark library. Grab this effective tool now and don't make second thoughts to apply in your digital photos or images and artwork before it's too late. With Batch Picture Protector you can become the captain of your copyright and prevent your masterpiece from piracy.